Washington, D.C. — Today the 2018 CAMCA (Central Asia-Mongolia-Caucasus-Afghanistan) Regional Forum report was released recapping the events held in Baku, Azerbaijan from June 21st-23rd. Organized by the Rumsfeld Foundation, Central Asia-Caucasus Institute and the CAMCA Network, the 2018 CAMCA Regional Forum convened over 230 representatives from more than 20 countries to discuss important issues and developments surrounding the Forum theme: “CAMCA: Emerging Regionalism.” The 2018 Forum was made possible with the support of local organizing partner and Forum host, ADA University, as well as a number of other local sponsors including SOCAR, the Port of Baku, the U.S. Embassy in Baku and more. Highlights included remarks and participation by Ambassador Nasir Andisha, Deputy Minister of Foreign Affairs of Afghanistan; Jeyhun Bayramov, Minister of Education of Azerbaijan; Mikayil Jabbarov, Minister of Taxes of Azerbaijan; Ambassador Tedo Japaridze, Foreign Policy Adviser to the Prime Minister of Georgia; Shigeo Katsu, President, Nazarbayev University; Kairat Kelimbetov, Governor, Astana International Financial Center; H.E. Novruz Mammadov, Prime Minister of Azerbaijan; Ambassador Hafiz Pashayev, Rector, ADA University; Senator Sodyq Safoev, First Deputy Chairman of the Senate of Oliy Majlis of Uzbekistan; Ambassador Paul Wolfowitz, former President of the World Bank and former U.S. Deputy Secretary of Defense; and more. 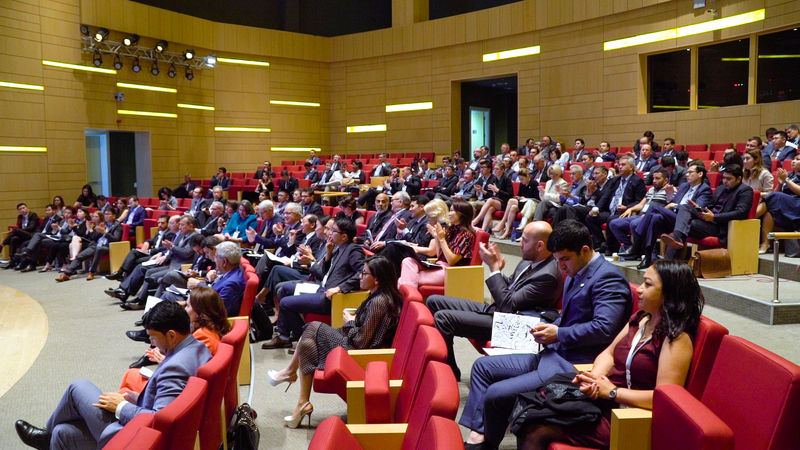 Attendees traveled to Baku from across the CAMCA countries, the EU, India, Israel, Japan, Korea, Kuwait, Pakistan, Singapore, Ukraine and the United States. For more information, view the full 2018 CAMCA Regional Forum Report, Forum Agenda, photos, videos and media mentions. For more information about the Rumsfeld Foundation, please follow us on Facebook and Twitter. For more information on the Central Asia-Caucasus Institute, please visit www.silkroadstudies.org or follow them on Facebook and Twitter.